Chor der Bayerischen Staatsoper, Bayerisches Staatsorchester / Karel Mark Chichon. Stage director – Amélie Niermeyer. Bayerische Staatsoper, Nationaltheater, Munich, Germany. Sunday, October 24th, 2016. 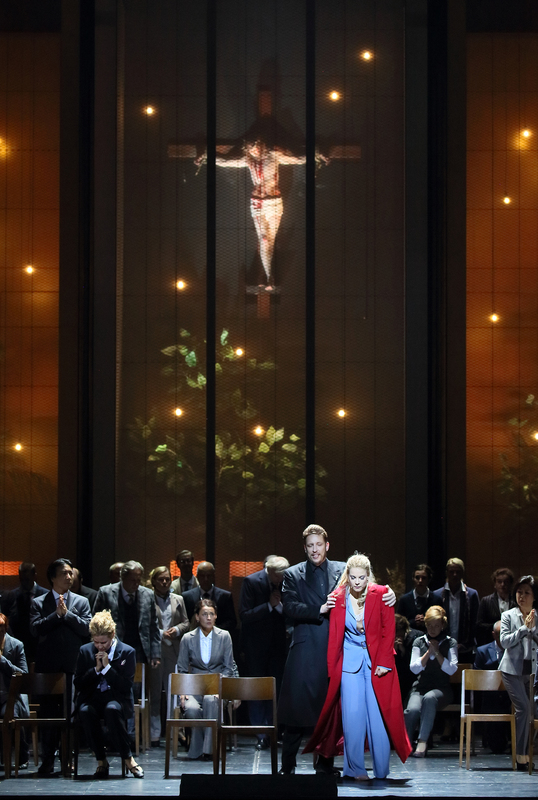 For this, the first premiere of the 2016 – 17 season of the Bayerische Staatsoper, the air of expectation in the theatre was tremendous. 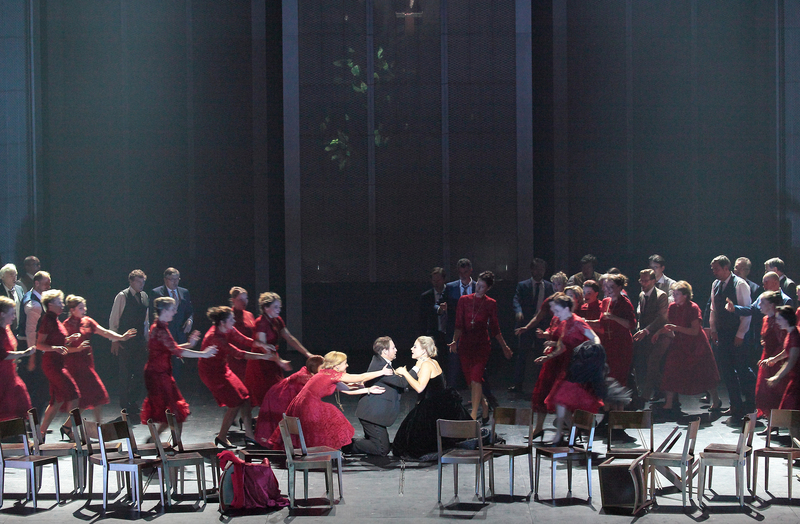 This is a city that takes its opera seriously with over 90% of the Bayerische Staatsoper’s public being locals. Opinions about opera are strong here and this was definitely evident in the very vocal reception as the production team took their curtain call. We were certainly offered some spectacular singing tonight though. Amélie Niermeyer is a new name to me but she is well-regarded within the industry. I have to say though that I found her Favorite a bit of a mess. There is a kernel of a good idea here – the way that Léonor is treated is shockingly bad but in one respect she raises a question that she is either unwilling or unable to answer. The relationship between Alphonse and Léonor is an interesting one; as he sings ‘pour toujours tu m’appartiens’ he makes it very clear that he considers her his physical possession, yet during the ballet music (no ballet here, instead Léonor and Alphonse watch a movie) it struck me that there was a deeper level of co-dependency there than one might initially have thought. It just felt that this was raised and then left to one side. 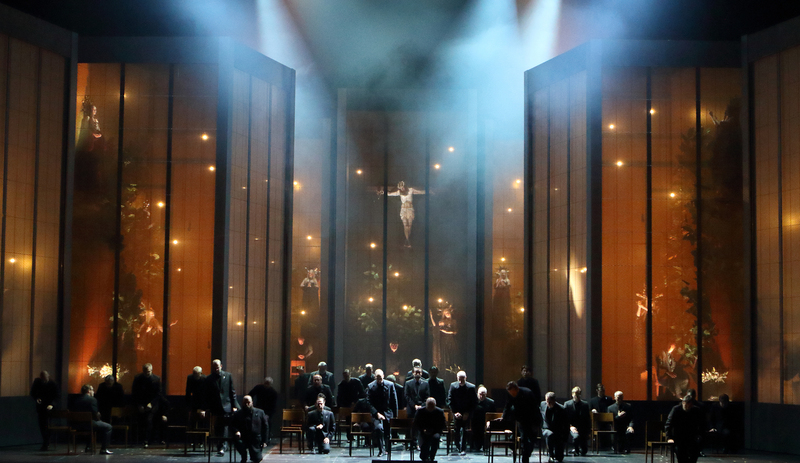 The set (Alexander Müller-Elmau) consisted of metal panels that would be moved noisily around and would occasionally light up to show some religious imagery with statues coming to life. A group of chairs was abused frequently, either thrown to the floor or used as devices to attack characters with. It’s true that in terms of personenregie we did get a sense of the characters and their motivations but the overwhelming sense I was left with was that of several potentially good ideas taken and then quickly discarded. Given that sightlines at the Nationaltheater aren’t that great from many seats, it’s also regrettable that Niermeyer set much of the action on stage right which meant that for a considerable part of the evening, the action was lost to those seated on the left of the theatre. Niermeyer did succeed in creating real, flesh and blood characters and with singing-actors of this calibre it would be hard not to. 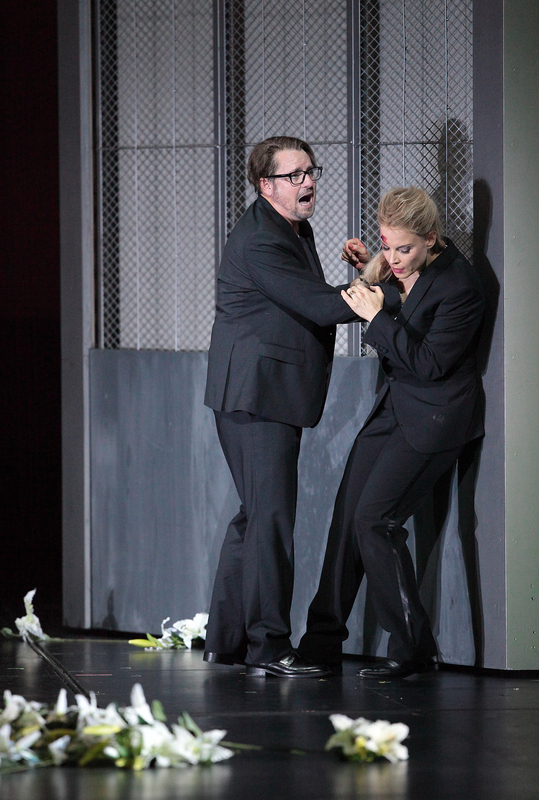 Matthew Polenzani was superb as Fernand. His French is absolutely impeccable and he sang the role off the text which made it live even more. Indeed the diction of all the gentlemen in the cast tonight was excellent. Polenzani was in complete control of his vocal estate tonight – from filing the tone down, to elegant use of voix mixte to heroic strength, he really did have the full measure of the role. He also added some attractive ornaments in his Act 1 aria ‘oui, ta voix m’inspire’. However, for me the highlight was his Act 4 aria ‘ange si pur, que dans un songe’ in which he displayed some phenomenal breath control with endless phrases sung in a single breath and a fabulous ability to fine the tone down to a single thread of sound yet still carry through that large house. Tonight, Polenzani was very special indeed. Mariusz Kwiecień is also a consummate bel canto stylist and this evening he once again displayed his eloquent line, velvety middle and genuine trill. He completely incarnated the complex character, absolutely dominating the stage when required to. The voice has gained an additional metal to the core of the sound but without sacrificing the flexibility that was required in his opening number. He was absolutely rock solid in the more declamatory passages yet also had that seductive warmth that is his trademark for his beautiful Act 3 ‘pour tant d’amour ne soyez pas ingrate’. His interpretation also benefitted from his excellent French. 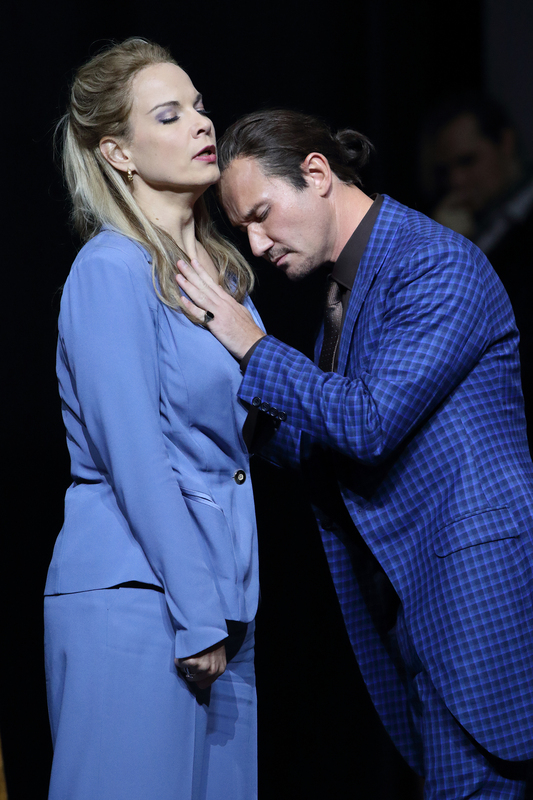 Elīna Garanča brought her beautiful line to the role of Léonor, the voice quite seductive from smoky bottom to big and penetrating top. 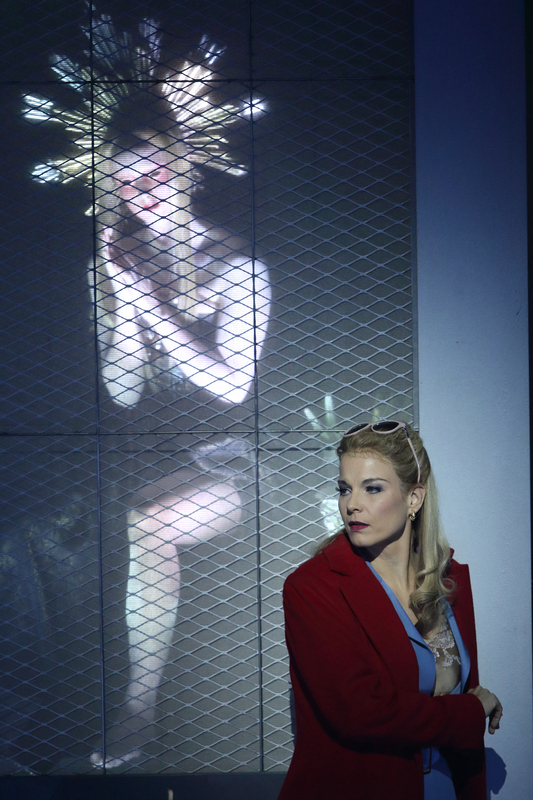 The way she rode the ensemble in the Act 2 finale was glorious to hear. Her ‘ô mon Fernand’ was dispatched with a gorgeous legato and also genuine agility when required. Yet despite that, she left me cold and for me, even though she sang beautifully, the impact was dampened by her foggy diction. It seems Garanča privileged the line over the text and while she really did spin some beautiful lines, I longed for her to do something with the text, to sing with it and not over it. 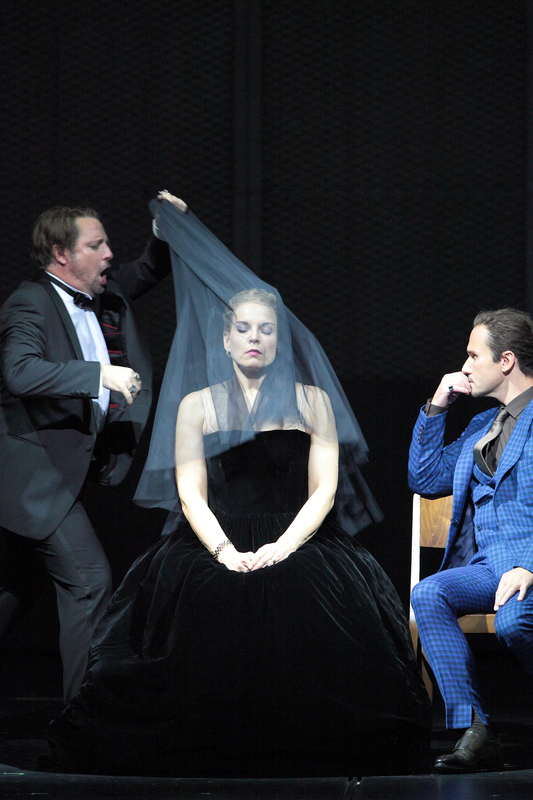 I kept hearing an Eboli in that voice tonight and I look forward to following Garanča’s career with attention. As always, the remainder of the cast matched the high standards of this, one of the world’s finest lyric theatres. Mika Kares was a tower of strength as Balthazar, his big and warm bass nicely filling the house though he did lack a little resonance at the very bottom. Joshua Owen Mills displayed a very promising and distinctive lyric tenor, the peppery tone really enhancing the insinuating character. Elsa Benoit was almost wordless as Inès but her crystalline soprano gave much pleasure, as did her embellishments. The chorus made a fantastic noise but words were indistinct and they were caught off guard by the very swift tempo in Act 3 ‘déjà dans la chapelle’ which came very close to going off the rails. That said it was a first night and these things tend to settle during the run. Karel Mark Chichon led a reading that was vibrant and always forward moving. Rhythms were springy and he was a supportive accompanist. Tempi were always judiciously chosen though. He secured some good playing from the orchestra – the string intonation was a bit raw in places but the brass were on fantastic form. He certainly had the measure of the piece though. Tonight was definitely all about the music. Both Polenzani and Kwiecień gave masterclasses in bel canto style and while Garanča’s Léonor was gloriously sung it didn’t quite have the impact it could have had for me due to her diction. It would be wrong to say that the production was devoid of ideas – it certainly had a lot of them – but it felt to me that Niermeyer wanted to simply say too much. I enjoy nothing better than a director taking me on a journey through a work that I never expected to take. There were hints of this tonight but it didn’t feel fully developed. Despite that, the singing really was exceptional and the show is most certainly worth seeing for that reason.